Blaze Rapid Strip Disc from Norton. Price each. 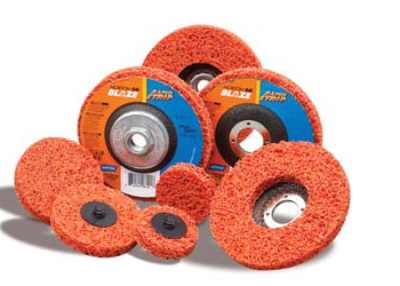 Norton Blaze Rapid Strip is ideal for fast stripping and cleaning without gouging or causing excessive stock removal on metals and composite materials. 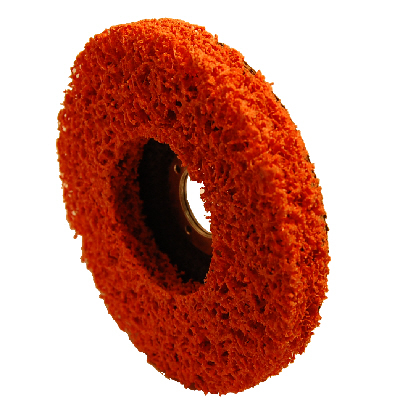 Available in 115mm (4 1/2"), 125mm (5") and 178mm (7") diameter depressed centre discs are able to withstand heavy applications such as stripping rust encrusted metal, without shredding. Not only tough, containing the exclusive long-lasting SG technology 'Blaze Rapid Strip' discs are also extremely versatile. By using a lighter pressure Blaze Rapid Strip can also be used as a surface finishing disc on most metal and composite surfaces. Fantastic value. 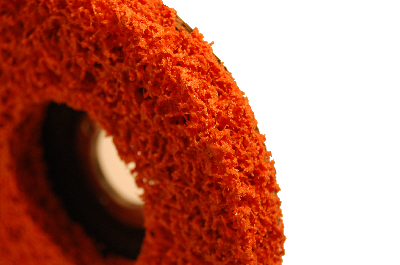 Tough stripping to surface finishing with just one disc. Long-lasting SG Blaze ceramic alumina abrasive grain. Lasts twice as long as competitor discs. Ideal for stripping through to surface blending and heavy scale removal on cast iron, steels, aluminium, fibre glass and composites. All sizes have a 22mm hole size. Watch the video of the versatile Blaze Rapid Strip on brickwork! Price per Disc. Please choose diameter from the drop-down box. 115mm (4 1/2") Rapid Blend Disc from Norton. Price each. Wide range of solutions for finishing ferrous and non-ferrous materials.